Since 1945 when the first books by the Rev. W. Awdry were published, Thomas and his many friends have entertained children worldwide and continue to inspire new and exciting adventures. Thomas is the No 1 blue engine. He is a cheeky little engine who often gets into scrapes, usually by being over-eager to do things best left to the bigger and more sensible engines. Thomas works hard and he always strives to be a "Really Useful Engine". 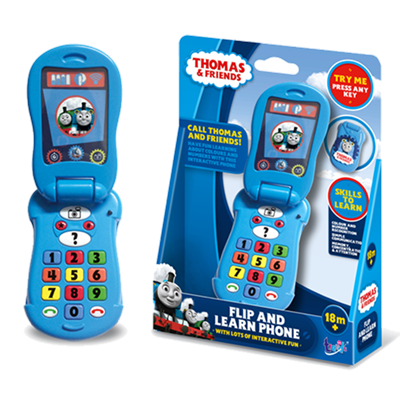 The narrator from the ever-popular TV series asks the questions in our Thomas & Friends electronic learning aids. 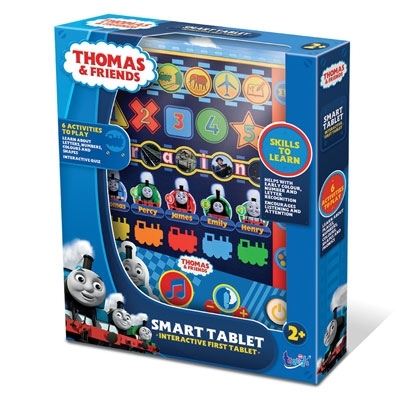 Children are encouraged to 'learn with me' along with Thomas as they explore numbers, colours, shapes, destinations, characters, early words and spellings. Items feature well-known music and songs from the programme. © 2018 Gullane (Thomas) Limited © 2018 HIT Entertainment Limited.